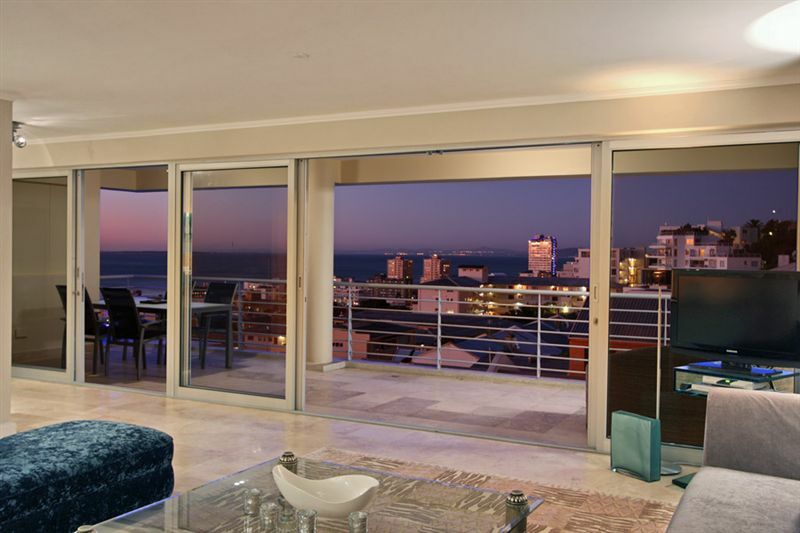 This luxurious apartment takes maximum advantage of its unique selling point, the most spectacular views the Mother City has to offer. 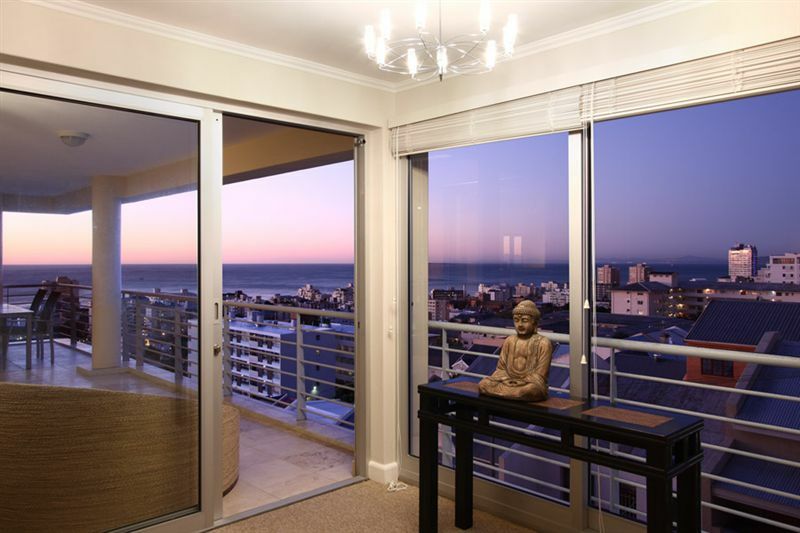 From the spacious open-plan kitchen to the living room to both bedrooms, every room in the house boasts a view of the Atlantic Ocean and either Signal Hill or Robben Island. 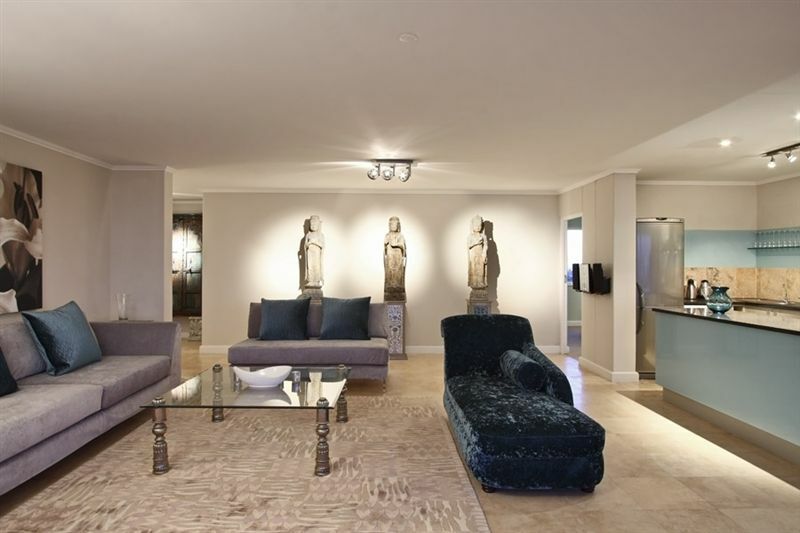 The apartment offers all the finest finishes, including stone floors, granite counter tops, and double sinks in the master bedroom, and is decorated in an elegant, minimalist manner with an Asian flair. 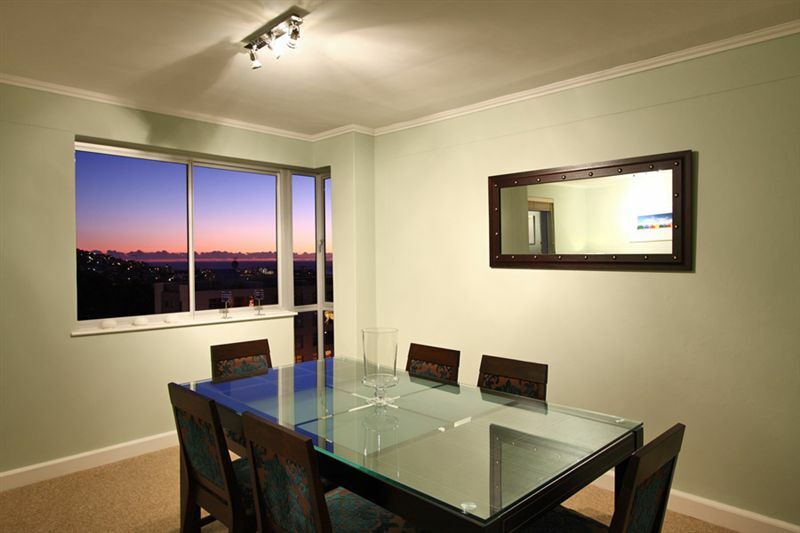 The kitchen and the master bedroom both have access to the large furnished balcony that provides a perfect venue for a lush morning breakfast or a romantic dinner overlooking the ocean. 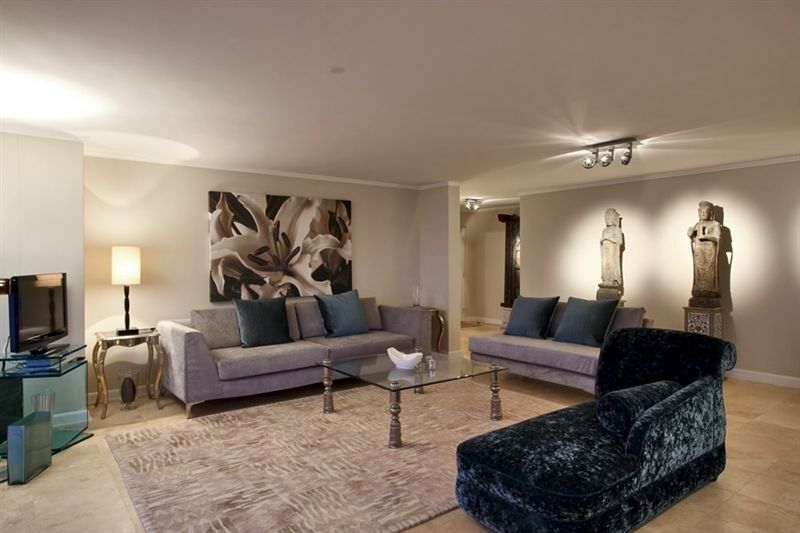 The separate dining room features a Bang and Olufsen surround sound music system that provides the perfect setting for entertaining guests. 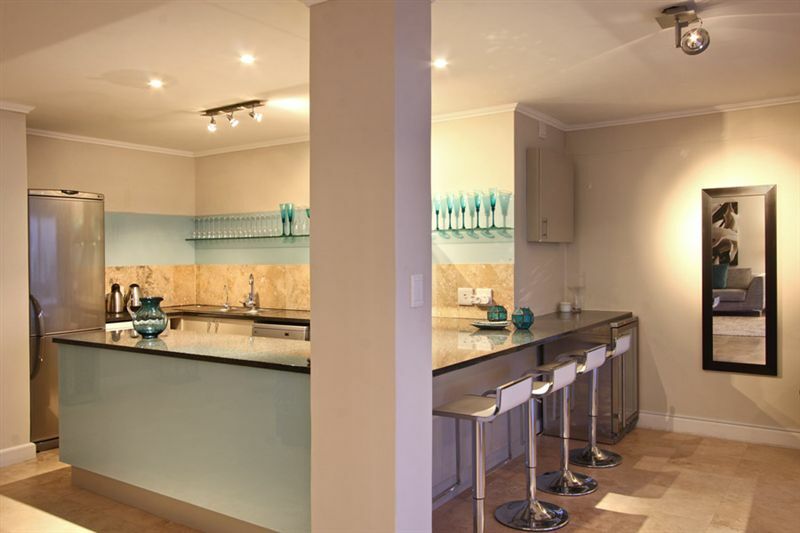 There are many restaurants and catering services nearby who can organize your affair for you if you arent keen on utilizing the kitchens all-chrome luxury amenities. 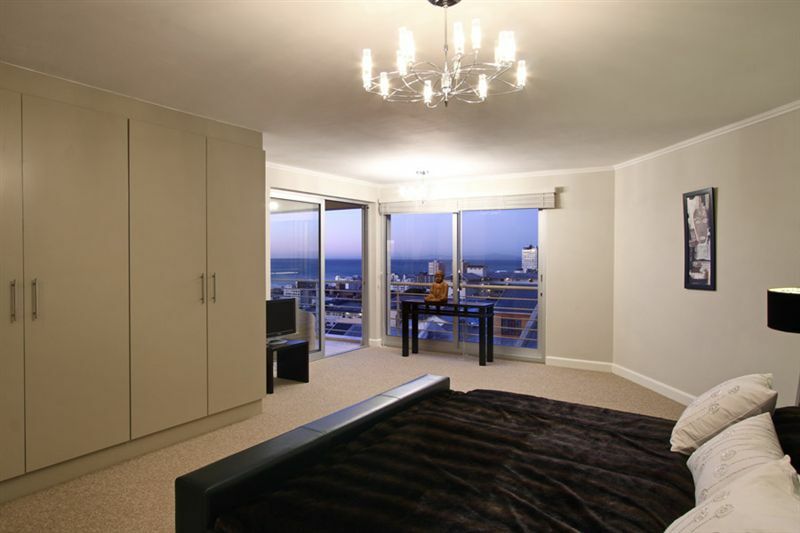 Besides the beauty of the apartment, it is also perfectly located for visitors wishing to enjoy Cape Towns outdoor lifestyle; the stark white beaches of Camps Bay and Clifton are a mere five-minute drive away, while the Sea Point promenade where locals and visitors flock to watch the sunset, run, walk and enjoy many waterside bars and restaurants is within walking distance. 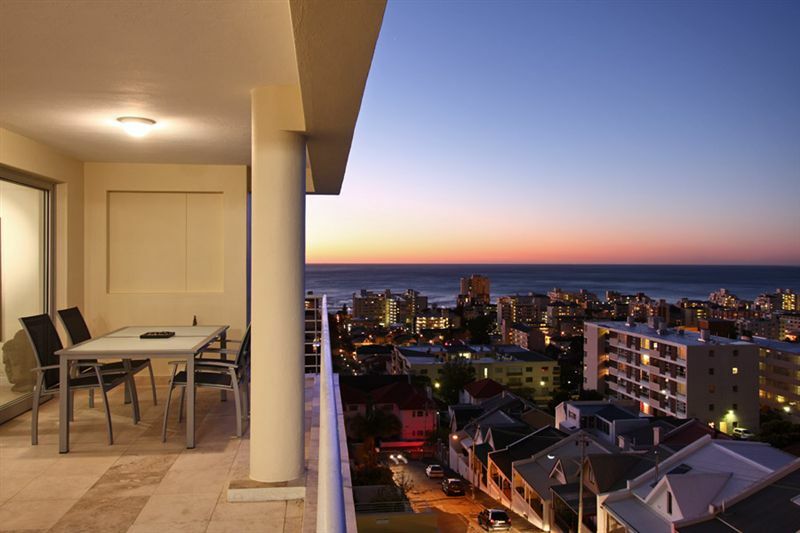 For those in town looking for adventure, the citys best restaurants, shops, bars, boutiques, coffee shops and humming nightlife are all only minutes away in Sea Point and Green Point, an area that is steadily becoming one of the most popular areas in Cape Town. 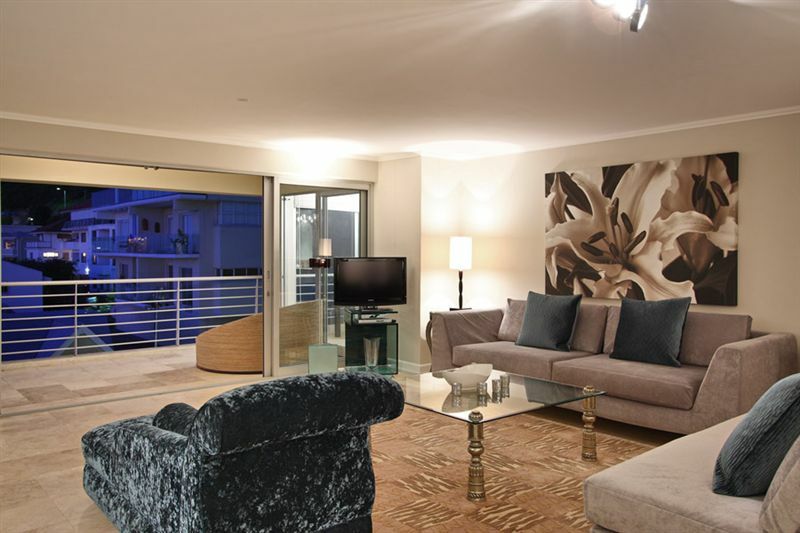 Long Street, with its accompanying restaurants, shops, book stores, bars and clubs is also a few minutes&apos; drive away, while the V & A Waterfront, one of the top tourist destinations in South Africa, can be seen from the apartment.